The edition of A.W. Pink’s The Sovereignty of God published by the Banner of Truth Trust in 1961 was substantially changed from the editions previously revised by Pink, (1918, 1921, and 1929). There is also a fourth Edition, 1949, the text of which was unchanged from the 1929 edition, and published before Pink’s death in 1952). (A Kindle edition of the 1949 edition is available for a nominal sum). So The Banner of Truth edition is a revision of the 1929 edition. I remember objecting to Iain Murray about the very idea of this revision shortly after it came out. Evidently many have complained over the years, which moved Murray to defend the Trust in his Life of A.W.Pink. More recent complaints have led Murray to republish in the Banner of Truth magazine his apologia for the Banner The Sovereignty of God taken from Murray’s Life. (‘Pink on the Sovereignty of God’, Banner of Truth Magazine, January 2013).The letter of one perplexed reader is reprinted anonymously in the same number of the Magazine. One can argue about the wisdom and morality of the principle of tampering with dead men’s books. But this is not the place for that. The reasons given by Murray are that after 1929 Pink’s views changed on several matters, notably the distinction he employs in 1929 between natural and moral ability and inability, and on hyper-Calvinism, which he more and more came to regard as a threat. As we shall see the two issues when properly understood are not closely linked, though Murray thinks they are. The implication is that had Pink got round to the task of editing the work himself, the revisions he would have made to the text of The Sovereignty of God would have been very much along the lines of those of the Banner of Truth edition. But there is a slight problem with this hypothesis, namely that the 1929 edition was republished in 1949, while Pink was still alive, with what may be a short Foreword by Pink (but which is more likely the work of I. C. Herendeen, who according to Murray ‘claimed the copyright’ (p.15). Whoever the ‘Foreword-writer’ was, there was no suggestion that the 1929 edition needed revising. For the record here is the Foreword to the 1949 edition, taken from the Kindle version. It is with profound praise to God “most high” that another edition of this valuable and helpful book is called for. Though its teaching runs directly counter to much that is being promulgated on every hand today, yet we are happy to be able to say that its circulation is increasing to the strengthening of the faith, comfort, and hope of an increasing number of God’s elect. We commit this new edition to Him whom we “delight to honour,” praying that He may be pleased to bless its circulation to the enlightening of many more of His own, to the “praise of the glory of His grace,” and a clearer apprehension of the majesty of God and His sovereign mercy’. The Foreword is in a style close to Pinkese, but it is probably not wise to try to swim or even to paddle in the murky waters of the Pink-Herendeen relationship. Suffice to say that as far as I know Pink never raised the question of changes being made to the 1929 edition to bring it into line with his current thinking, and that neither in the pages of Studies in the Scriptures or elsewhere did he object to this republication. This will become relevant shortly. To justify making such editorial changes, besides being in accord with what were believed were the original author’s own views, a change must provide a significant improvement and the reason for making it must be cogent. Here I wish to take up the main one of the changes, and the reasoning for it. To Murray it seems that for a time Pink was attracted to the distinction between natural and moral ability (and inability) used as a way of understanding the question of the sinner’s responsibility. For he used it in the pre-Banner editions of Sovereignty, at least, in the 1929 edition. However, Murray thinks that Pink later abandoned any way of understanding human responsibility in terms of this distinction or in any other way, in favour of a simple recognition of the fact that Scripture teaches both that all men are responsible and that God is sovereign, though Murray does not provide any evidence of this repudiation. But what is the distinction? The most prominent use of it is to be found in Jonathan Edwards’ Freedom of the Will. (Murray says in a footnote that ‘Pink had picked up the theory from the writings of Jonathan Edwards or Andrew Fuller’. (p.9)) In the Foreword to the First Edition Pink pays tribute to Edwards among others, saying, 'Though, of course, we do not endorse all their conclusions, yet we gladly our deep indebtedness to their works'. That’s the distinction. Suppose I have a normal human body including two normal legs, then I have the natural ability to walk normally. But if I have uncontrollable spasms in my legs, or possess only one leg, then I am naturally unable to walk normally even if I want to. And it is the general view that such a disabled person cannot be required to do anything which because of a physical disability, he cannot do. So moral ability must presuppose a certain amount of natural ability. Moral inability, in turn, consists ‘either in the want of inclination; or the strength of a contrary inclination; or the want of sufficient motives in view, to induce and excite the act of the will, or the strength of apparent motives to the contrary’. Edwards gives the following examples of moral inability or 'moral necessity' as he prefers to call it) . ‘A woman of great honor and chastity may have a moral inability to prostitute herself to her slave. A child of great love and duty to his parents, may be unable to be willing to kill his father’. So on this view moral inability does not in Edwards view remove responsibility, praise or blame, but rather the reverse. The virtuous woman and the loving child are praiseworthy even though neither could bring themselves to act differently, but precisely on account of that fact. Edwards focuses on moral ability and inability as an important part of his argument that responsibility depends on moral inclination and not (as the Arminians argue) on the self-determining power of the will. In keeping with this, Part II Section 4 of his work on the will is entitled ‘Command, and Obligation to Obedience, Consistent with Moral Inability to Obey’. In general ‘’Tis the soul only, that is properly and directly the object of precepts and commands. The motions or state of the body are matter of command, only as they are subject to the soul, and connected with its acts’. (p.302) So in assessing responsibility natural ability and inability are subordinate to moral ability and inability, but each is necessary for responsibility. ‘But at the outset we are confronted with the fact that the natural man is unable to love and serve God, and that the sinner, of himself, cannot repent and believe’. ‘We trust we have made it clear that the Scriptures distinguish sharply between natural inability and moral and spiritual inability’. ‘We say again that the above distinction between the natural ability and the moral and spiritual ability is of prime importance’. These words amount to a pretty clear, unequivocal commitment to the importance of the distinction between moral and natural ability and inability in 1949, in a book of his published while Pink was still alive. Holding such views is consistent with a growing rejection of hyper-Calvinism and in the case of some writers, such as Andrew Fuller, (as we shall shortly see) it plays a pivotal role in their emancipation from it. There is just occasionally an understanding of ‘natural ability’ to mean an ability only possessed by people who the Apostle Paul calls the ‘natural man’. (As in the first quotation given above). But otherwise Pink concentrates on moral inability in true Edwardsean fashion, though he clearly believes that the Scriptures teach it, and in general he is clear that a natural ability is one possessed by a person considered as a natural organism. It is what he sometimes calls a ‘natural faculty’, while a moral ability or inability is the result of or an expression of what a person is inclined or disinclined to do. On this view, a person who is naturally able but at the same time is morally unable is nevertheless responsible for what he does or fails to do in that condition. So in general Pink makes clear that ‘natural ability’ is only a necessary condition of responsibility, not by itself sufficient. Now let it be clearly understood that, when we speak of the sinner’s inability, we do not mean that if men desired to come to Christ they lack the necessary power to carry out their desire. No; the fact is that the sinner’s inability or absence of power is itself due the lack of willingness to come to Christ, and this lack of willingness is the fruit of a depraved heart. It is of the first importance that we distinguish between natural ability and moral and spiritual ability. Murray thinks that the distinction is used (by Edwards, presumably, and by Pink certainly) to show that ‘the unconverted person will be held accountable for doing [only?] what he has ‘the natural ability’ to do, that is to say, read the Bible, use the means of grace, cry to God about his inability and so on’. (p.8-9) But this is a misunderstanding. Murray claims that Pink may have got the distinction from Andrew Fuller. Fuller used it in his influential book The Gospel Worthy of All Acceptation. 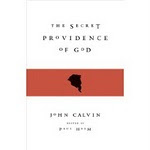 It is widely held that this book was influential against the hyper-Calvinism of such as John Brine, Wayman and others, who held that a person is responsible only for what he could naturally do. A normal person can read the Bible, and so he or she is responsible for that, but such a person cannot naturally repent, since repentance is a gift of God. So such a person must attend the means of grace, which he can naturally do, hoping that God will grant him the gift of repentance. What Fuller argued using Edwards' distinction is that such a person is responsible for his impenitence and his unbelief, and that he has a moral obligation to repent and to believe the gospel despite his 'inability'. These were arguments designed to break the fetters of hyper-Calvinism, and they had some success in doing this among the Baptists (Fuller was a Baptist minister lin Kettering). 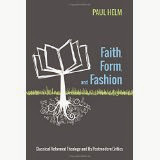 'Fullerism' and 'duty-faith' became bye-words for Fuller's arguments, and indicative of their success, which is widely held to have ushered in the modern missionary movement through William Carey and others. But that quotation gives us only half the story. Possessing natural ability is necessary for responsibility, but it is not sufficient. For Pink held that a person with natural ability is responsible for what he does or refrains from doing as a result of his moral abilities and inabilities. According to Edwards it is not a natural ability that provides grounds for responsibility, but a moral ability or inability, even an ability so strong as to be exceptionless, what Edwards called moral necessity. And Pink says the same. If a person has the natural ability to read the Bible, he is responsible for that if he is inclined to read it and does so, or is disinclined to read it and doesn’t. A person is responsible for running not simply because he has two legs, but if running is the expression of an inclination to run. 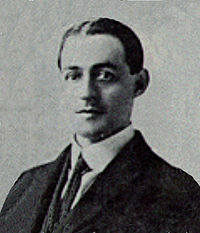 As we have seen the distinction between natural and moral ability and inability was used by Fuller to undermine hyper-Calvinism, not to support it, and it is hard to see how Pink could have used this distinction as a vestige of hyper-Calvinism in successive editions of The Sovereignty of God. So Murray's justification for the removal of this distinction from the Banner's revision indicates a serious misunderstanding of it and its use by Fuller. Besides, it is surely unwarranted to eliminate references to the distinction between moral and natural ability and inability when the author has given no reason for later rejecting it, and Murray himself has (so far) provided none. The change in Pink’s attitude to hyper-Calvinism, which Murray does document, is on the evidence provided so far, irrelevant. One might take the view that since the distinction is so liable to misunderstanding The Sovereignty of God is better off without it no matter what its author thought. This come dangerously near to making the work what the editor believes its author should have written, rather than the one he did write. Aside from this, is dismissing the natural ability-moral ability distinction, and removing all approving references to it from the revised The Sovereignty of God, an improvement to the work? President Edwards in his great work ‘On the Will’ Pt. I Sec.4, adopts the same terms, affirming that men since the fall have natural ability to do all that is required of them, but are destitute of moral ability to do so. By natural ability he meant the, possession of every responsible free agent, as the condition of his responsibility, of all the constitutional faculties necessary to enable him to keep God’s law, By moral ability he meant the inherent moral state of those faculties, that righteous disposition of heart, requisite to the performance of those duties. In other words, the distinction is capable of being used in various ways, but if understood and used in Edwards’s way (which in the main was also Pink's way) it is valid and important. If Murray had followed the sentiments of the theologian to which he appeals, A.A. Hodge, or thought more carefully about the distinction for himself, he could well have come to the conclusion with Hodge that it is a valid and worthy distinction, worthy of inclusion in the revision. And left well alone. Obviously Murray did not check his sources carefully enough or think the matter through. One obvious moral is, don’t set about tampering with a book unless you first check your sources. The Banner of Truth edition has been published and republished and has no doubt done much good. So why raise the matter again? Why rake over dead coals? Because the treatment of the text of The Sovereignty of God by the Banner of Truth Trust, beside raising questions about respecting authorial integrity, raises a moral of a wider and more significant kind, which is the chief reason for writing this piece. The Banner of Truth's revision of Pink’s The Sovereignty of God is also a rewriting of history. Jonathan Edwards is one of the treasures of the Christian church, and it is a shame that all the thousands or tens of thousands of readers of the latest edition of The Sovereignty of God (of which there are 170,000 copies in print) what one learns of him, on a subject on which he had so much of value to say, is that he devised a theory about human agency, which as presented by Murray looks unintelligible, or at best obviously false. It is made to look like this because Murray, mistakenly in my view, thinks that there is a strong link between the moral-natural ability/inability distinction, and hyper-Calvinism. If there is this link why would Edwards espouse it, and why would it prove attractive to Andrew Fuller, (as Murray notes) who employed it as a centre-piece in his battle against hyper-Calvinism in the eighteenth century? Since the nineteenth century there has been a considerable narrowing of interest in the great theological names of Reformed theology, what amounts to a re-writing of history. Thus ‘Samuel Rutherford’ nowadays suggests the author of the extraordinary letters, and that’s all. Despite recent scholarly work on him there is among many evangelicals no recognition of his first-rate theological mind, of his work in political theory, or of his scholastic works on providence and other themes, such as his critique of middle knowledge. And to many still, despite recent work, to many people ‘Edwards’ suggests merely the Edwards of the revivals, of the Religious Affections and the life of Brainerd. The Edwards of The Freedom of the Will and of The Great Christian Doctrine of Original Sin, God’s Last End in Creation and of the volumes of the Miscellanies remains unknown to the average evangelical reader. Murray’s editorial outlook seems to encourage this trend. In using the red pencil on Pink's book he acted precipitately and in accordance with this 'narrowing' tendency. For these great men were not simply contributors to religious spirituality, narrowly conceived, but serve as examples in the use of the mind in the service of the faith and in the cause of the Saviour. Do not as many people as possible need to know this?